Special Counsel Robert Mueller is reportedly looking into White House adviser Jared Kushner’s business dealings with foreign investors during the presidential transition period. Mueller’s investigators have asked witnesses in interviews as recently as this month about Kushner’s negotiations for financing for a New York City office building owned by his family’s company, Kushner Companies, CNN reports. 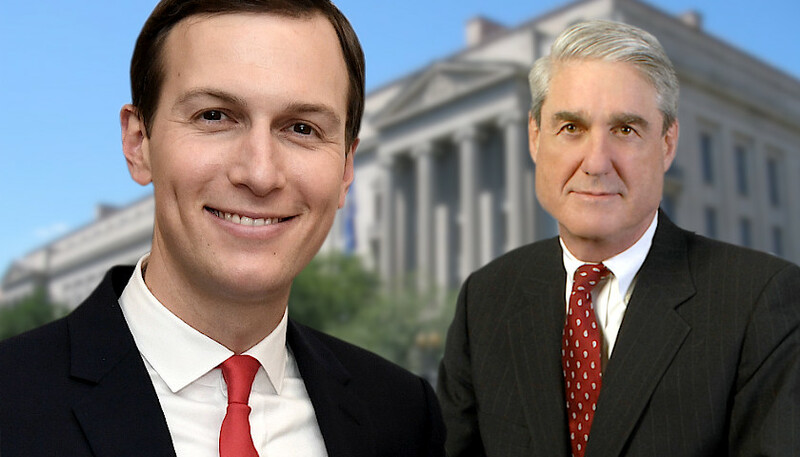 The new line of inquiry signals that Mueller’s interest in Kushner has expanded beyond any contacts he had with Russians during the 2016 campaign, according to CNN. Of particular interest is Kushner’s meetings just after the election with the chairman of Anbang Insurance, a Chinese company that purchased a stake in the Kushner Companies property at 666 Fifth Avenue in Manhattan. Mueller’s team has yet to reach out to Kushner Companies’ executives for interviews, according to CNN. A meeting that Kushner had during the transition period with Sergey Gorkov, chairman of the Russia-owned bank Vnesheconombank, is also coming under scrutiny. Kushner has said that the Dec. 2016 meeting was held to discuss official government business. The bank has said publicly that Gorkov attended the meeting as part of a “roadshow of business meetings” that he was conducting in the U.S.
Kushner reportedly met with Mueller’s team last November. According to press reports at the time, former National Security Adviser Michael Flynn was the main focus of the meeting. Flynn pleaded guilty shortly after to lying to the FBI about his contacts with Russian Ambassador Sergey Kislyak. Photo “Jared Kushner” by U.S. Embassy Jerusalem. CC BY 2.0. Background Photo “Department of Justice Building” by Coolcaesar. CC BY-SA 3.0.